Day 5 and we are already saying goodbye to the first round of patients. 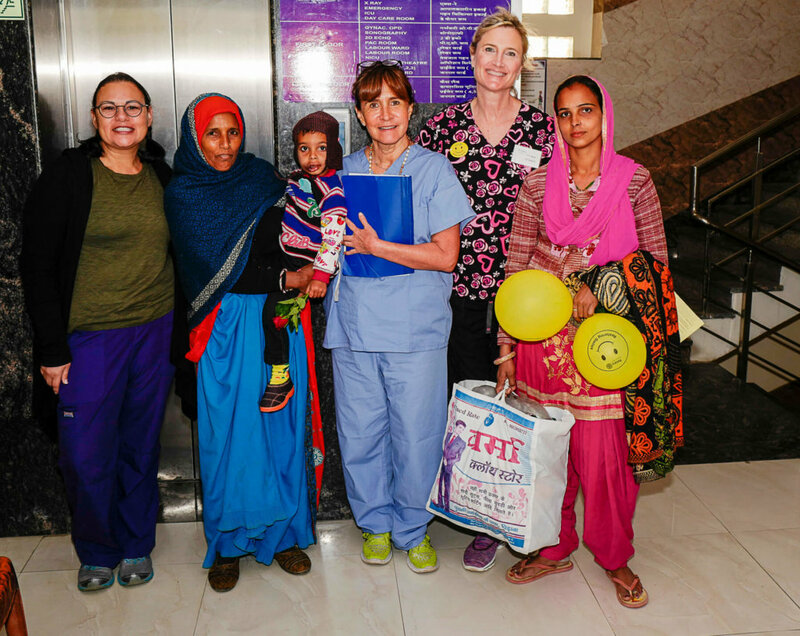 We have developed relationships despite language and cultural barriers. There appear to be open doors at every turn with our communication skills. A handshake, a thumbs up, a gentle smile, an embrace or pat on the back are the “words” that speak volumes and calm the moment. Truly, there are no closed roads for all of us, it is just a matter of exploring viable options, perhaps outside the norm to keep the conversation going. 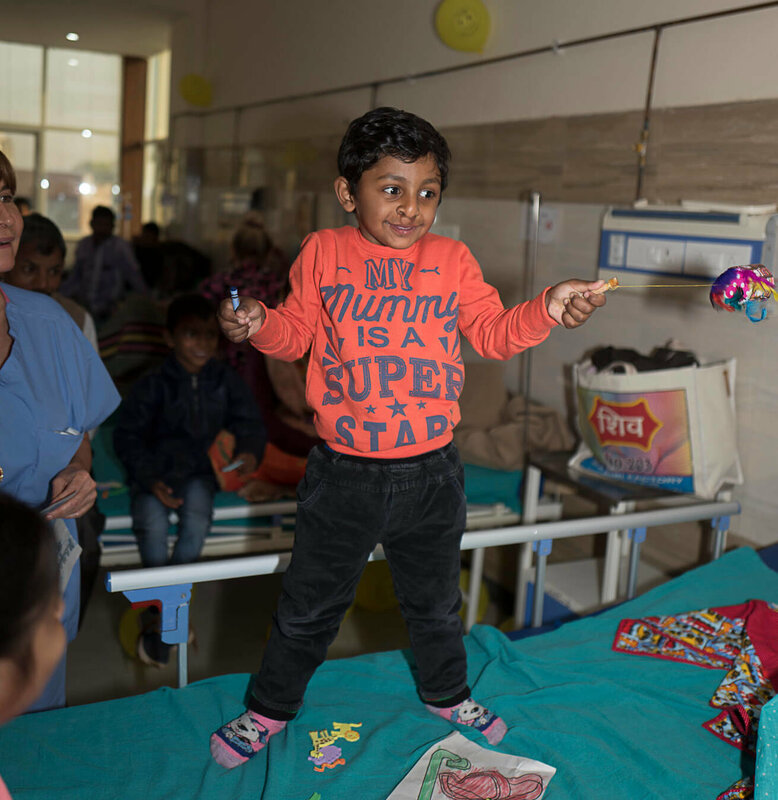 Meet Dakshit – almost four years old and this is his fourth surgery. 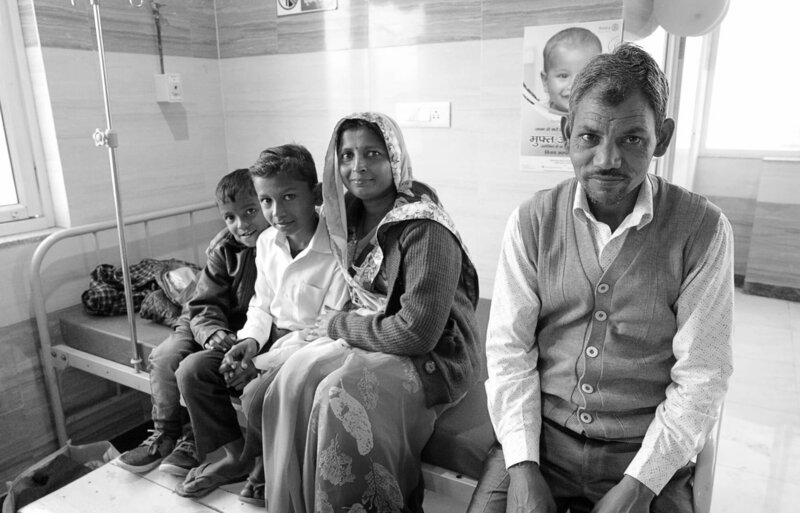 He came to the clinic with his parents who found out about Rotaplast on a building sign. Dakshit has had three surgeries. His first at 6 months, the second at 1.5 years, the third at 3.5 years and today’s surgery is his fourth. 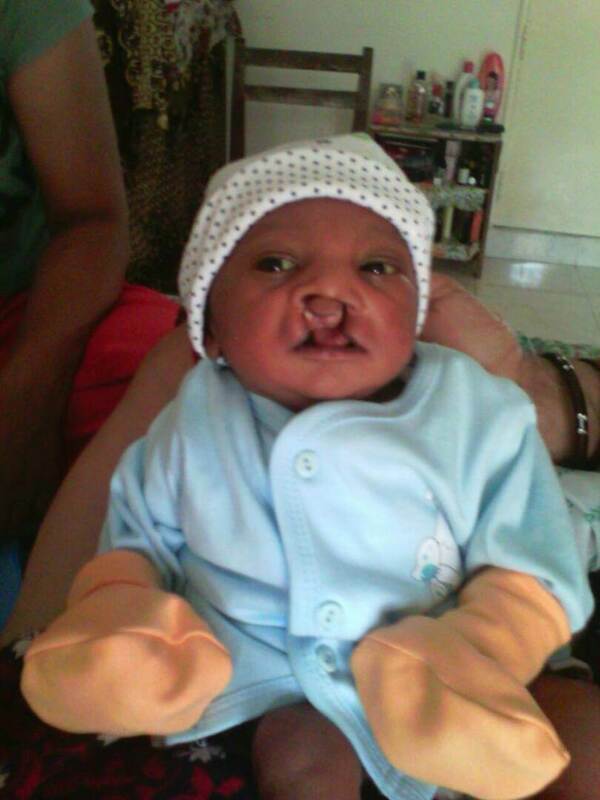 Given that his father was in the Indian Navy, he was able to access medical services for his son prior to this surgery. He mentioned that Dakshit, who is now in Kindergarten, was born with an incomplete palate. 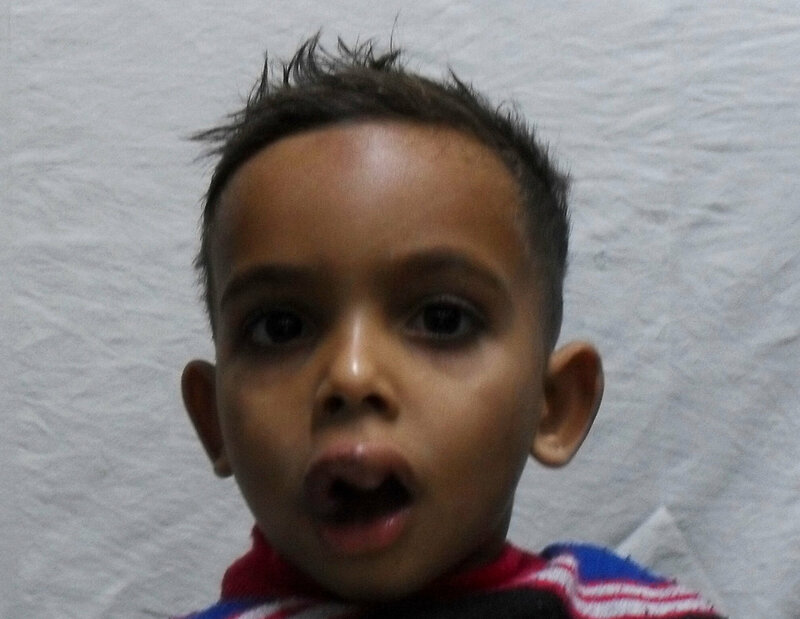 With the support of the doctors and specialists, Dakshits’s parents have realized that Dakshit’s cleft was only physical and can easily be corrected with surgery. They understand that the process is slow, but they are confident that time, access to experts and patience is the best path. Dakshit at birth, and before any surgeries. 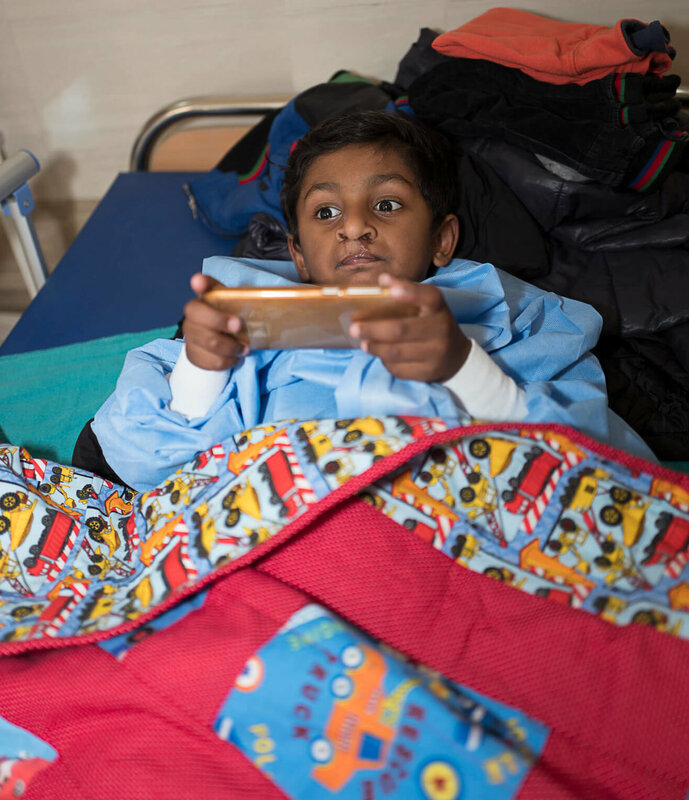 Dakshit is playing games and entertaining the ward staff with his lively and lovely personality. He entertains us with his imitation of different animals, his ability to identify certain animals in English and his adeptness with video games. Despite the sibling issues of an occasional spat, he and his sister are the best of friends. Dakshit appears comfortable with being in the hospital and is easily able to engage anyone who passes by his bed. He is affectionate with a broad and welcoming smile. Dakshit is showing us a few of his moves, and animal imitations before preparing for surgery. 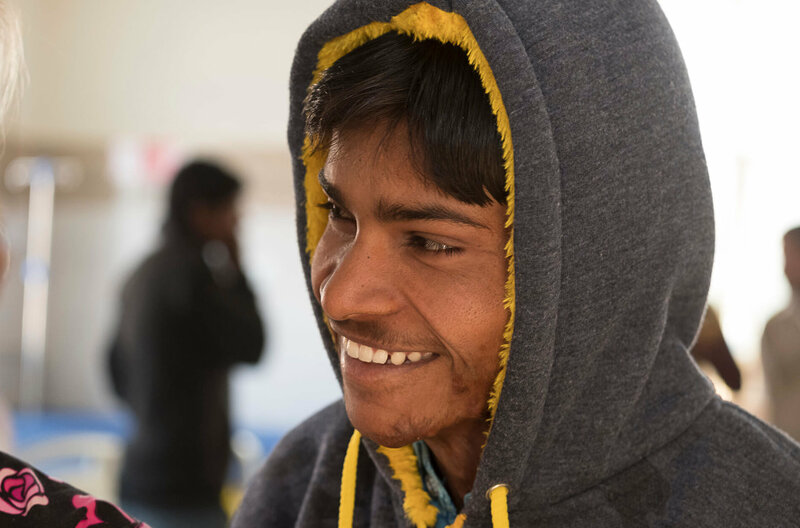 Yesterday we introduced Amar, who is here for surgery on his burn. While his father had come in with him the first day, today he is alone before going into surgery. He flashes his beautiful smile showing teeth that are perfectly white! His eyes speak volumes when he is engaged with you. He knows that this will be a long surgery but presents as committed to continuing in his process towards healing. His surgery took over three hours to complete. In recovery, his response was that of graciousness and gratitude. He will be with us for a couple of days given the healing process. 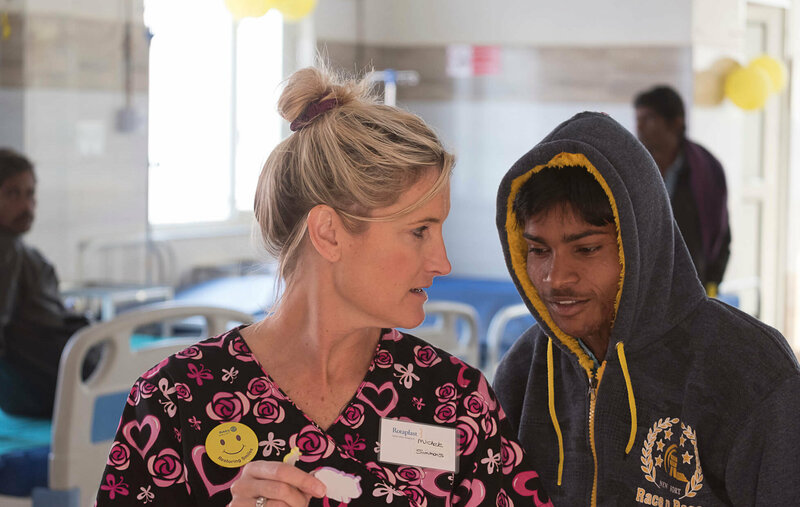 We look forward to his morning smile and sweet and respectful disposition that stays with him, all day, despite the obvious discomfort during his healing process. Need I say, he is an inspiration to us all! 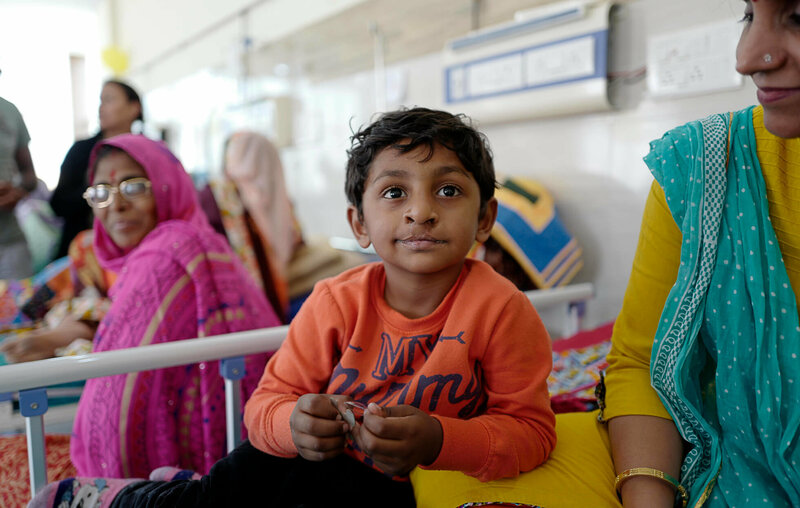 Amar, whom you met yesterday, has his last few words of wisdom before preparing for his surgery. 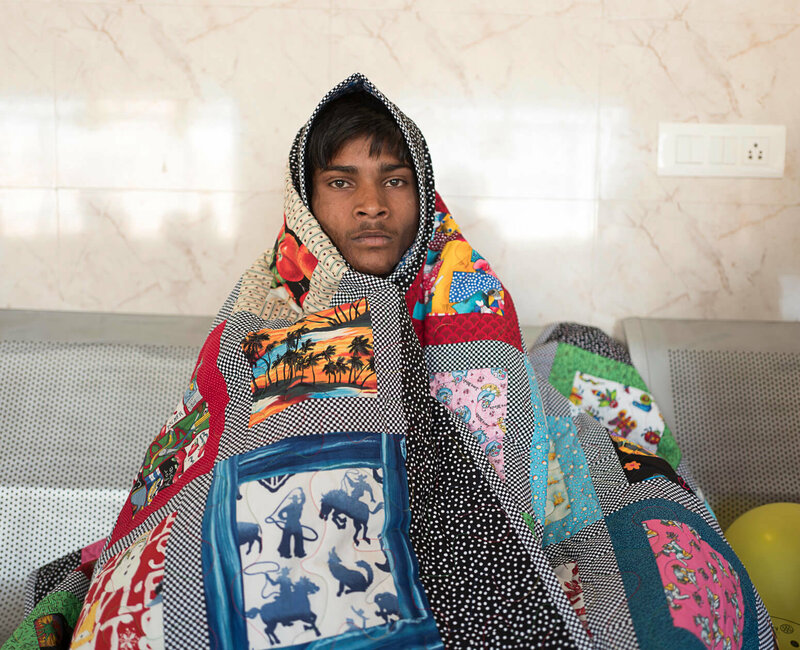 Waiting in the lobby before surgery enveloped in his beautiful quilt. Silan upon his registration at the Rotaplast clinic. During registration, Silan was anxious to show us his mouth. A few days later, and Silan is anxious to show us his mouth, but for different reasons. Calmly sitting in his bed, accompanied by his mother, father and grandmother, he responds to the gentle words of his family. Happy to have the surgery over, his father takes him to the window to remind him that this is a new day, and that there are wonderful things to look forward to in his life! 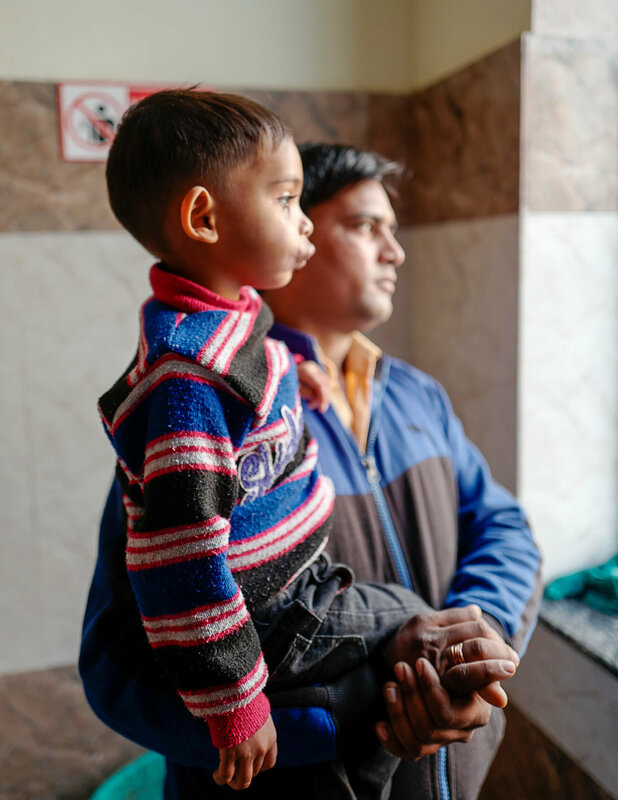 Silan with his father looking at a brighter future – and it is only a few hours since his surgery! Saying Goodbye to Silan and his family! All Smiles!! Silan’s family has been a calm and loving force in the recovery room. 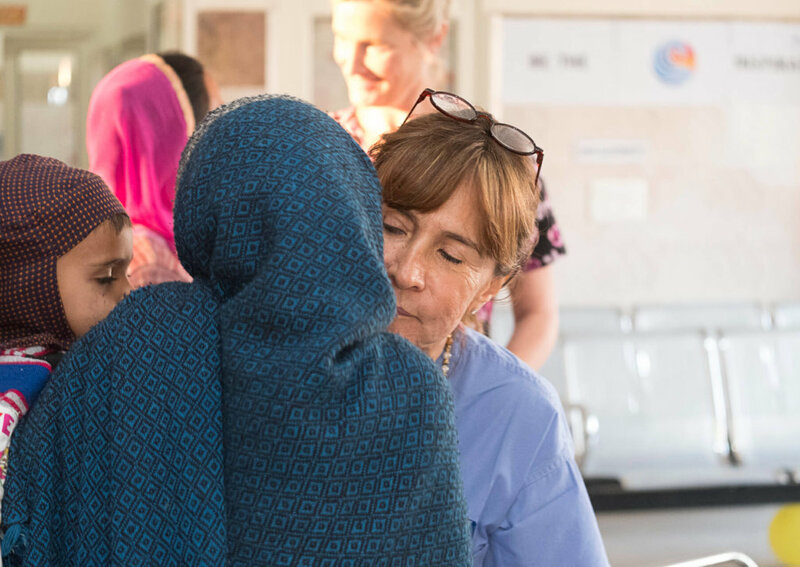 Saying goodbye is our closure, but their open door to more laughter and progress along their path towards restoring smiles! A tender goodbye to Silan’s grandmother who has been at his side for the last 24 hours. The level of emotional attachment that comes from being with and talking to our families with whatever form of communication is effective, is far beyond what I had expected with this adventure. Being on the brink of tears of joy for the families is starting to feel normal. Tomorrow I will introduce you to some of the members of our AMAZING and DEDICATED team!